Ok, I'll have to try WinRAR next. I've tried downloading twice, the second time was after I temporarily shut uBlock Origin off, thinking it was blocking something necessary. I've been playing this game from the very beginning and have never had an issue with any downloads before, so I'm concerned it may have to do with my change in computers. Although why a brand new HP Omen would have an issue where a 4 year old Toshiba Satellite didn't is beyond me. Silly question guys, I do not know what I am doing wrong... I have been unable to collect wild wheat since the last update. I have tried every conceivable way (hands, net, hammer, scythe, etc...) and I always kill the plant. What am I doing wrong? Or, how are you collecting wild wheat? well that's odd...it should spawn 3 sheaf on the ground when you destroy the plant. Then you use a knife to get multiple grain from the sheaf, or just "use" to do 1 at time if you don't have a knife...i will check it. edit: There is a picture of the new Grain plant on page 97. make sure your destroying the right plant. There is a tan grassy plant that you might think is Grain. Anyways, I loaded a save and found one and destroyed it, i got 3 sheaf on the ground. So idk...you may have gotten one on a hill or something and the sheaf spawned under the ground once...you know, that once in a while when an item is to deep in the ground and you cant pick it up? Hi Jas, any way to revert the -win behavior back to the original stranded 2 bordered window style? I'd love to be able to play the game in a proper window that I can drag to my second monitor, but the -win option was changed at some point to borderless which removes my ability to do that. Any thoughts? I seem to recall that the original -win option used to crash MM for some reason, is that still the case? I like how literally everyone that decided to reply to me misread my comment/recommendation. I asked if there was a way to just NOT have the updated textures. As in just have the old ones without the dumb looking ones that are currently modded in, let alone that stupid swinging low texture fist on the screen. mightyjack. . . dumb and stupid are 2 words that deserve no reply. Learn to communicate in a way that will not come across as offensive and you will get better replies. My reply: I do not reply well to dumb and stupid posts. Of coarse there is a way to change the graphics back and/or remove them. . .The same way they were changed and added to begin with, only in reverse. Hello again JasJack and fellow Survivors! A reminder to veretans: The Survivalist is meant to be played on Hard mode. Normal mode is training-wheels! - Make all foods affected (leaves, bugs, fat shouldn't circumvent the craving penalty). I can help with making changes if you'd like. I'm not sure about craving frequency, but I've worked out how to do the rest. hello guys n gals, been a bit busy lately but working on the next update as I can. Thanks for the recent feedback. I adjusted the cravings for next update. Previously, now, when a craving is initiated the craving variable is set at 10. As you eat that food type this number is reduced until it reaches 0, at which time the craving goes away. I have reduced this number to initially start at 6 instead of 10. So if you get a craving, you only have to reduce it by 6 to make it go away. Also, a few of the food items have had their craving stat increased from -1 to -2...like the banana, apple, orange, pear...now eating 3 will satisfy a fruit crave instead of having to eat 10. Or grain...eating 3 grain will satisfy a grain crave. This should make cravings more of a whimsical issue rather than a life threatening issue. 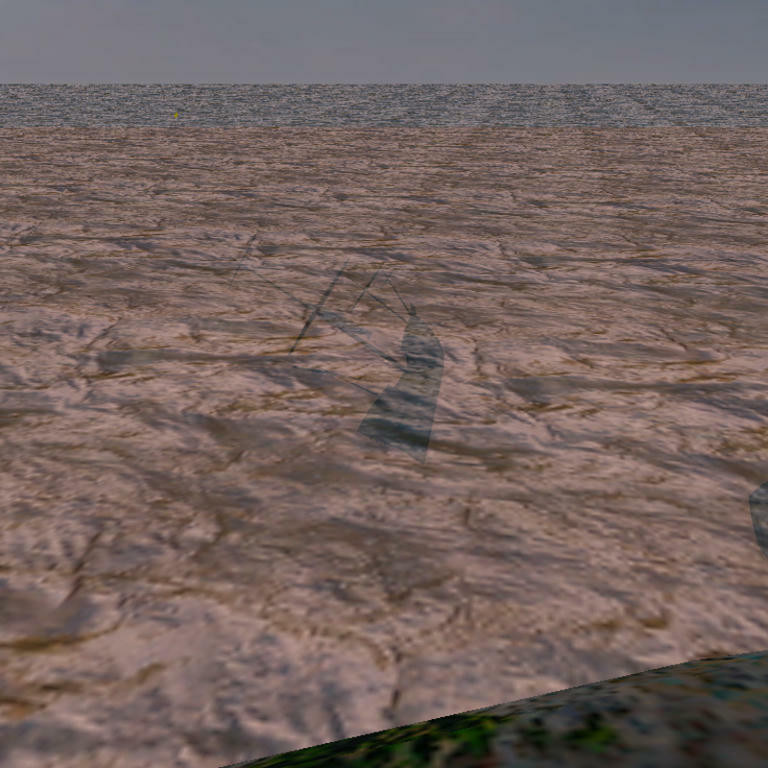 You can still lower or raise the terrain with either shovel, along with digging worms. The Iron deposit and underground spring unlocks later than before per skill tree. Download from the top of page 1 or any of my signatures as usual. Old 02-18 Updates are semi-compatible, you should make room in all inventory storages and rucksacks for the new weight adjustments. (approx 200 space may be needed.) You may get a loading error if you do not do this before transferring your save file to this new Summer Update. I increased the tiny storage from 2500 to 4000. Hey, first time posting here, but I've been a long time fan and player of Stranded II and The Survivalist Mod. Is anyone else having trouble getting the latest update to open? I downloaded it same as all previous updates, but when I try to run the game, I just get a little black box in the center of my computer screen and nothing else. I'm not very techy, so I haven't a clue of how to go about debugging it. Hi Juleneifier, welcome! Hey I just downloaded, unzipped and started the mod with no issue. Sometimes Mediafire can deliver a corrupted file, I would just DELETE ALL your olds ones and then try re-downloading. If you can us WinRAR (free google) to unzip i recommend that. Also, if you tried to transfer a "save" that could cause an issue...delete your save in the "saves" folder and try to start the mod. New Update Posted 06-10-18 A Revised Stable Version of 06-07-18. Hey Guys! So, I found a new technique in my scripting that allowed me to reduce the lag spikes and increase response time during in game play/actions. Newly posted: download the new 06-10-18 from the top of page 1 or any of my signatures. 06-07 saves are compatible. To all those who downloaded the Summer Update 06-07 already: sorry for having to download again 06-10, I was going to wait until next update is ready, but this new scripting has made a huge impact on reducing lag and increasing performance. . .i did not want you all to have to wait for that update. . .might be a couple months. I was able to run the game after deleting everything, redownloading, and then restarting my computer for good measure. Thanks for the tips! Hopefully, the new update will run just fine. Ty JDL for the report! You can always check the top of page 1 for Future Releases and To-Do List for the next upcoming update and change log...or past updates and change logs. Oooh, nice new item coming up! I like the sound of preservative, and it's a fairly simple recipe to pull off as well, even early game. I usually have excess of sugar and starch in my inventory at most times, so I guess it'll depend on how much of each it'll cost. Thanks for the pronto bug fixes JasJack! You're seriously awesome for the effort you've put into this great mod. Now, back to clearing my island! Got a small hard island that I've finally cleared the native bowmen from, and I need to get rid of all the grass and rocks before they respawn so I've got clear line of fire. Preservatives are crafted 1 for 1 per ingredient. So 1 salt + 1 starch = 2 preserves. The combo has 10+10 to make 20 or 15+15 to make 30. Crushing the sugar tablet with a stone produces 10 preserves, as it took 10 sugar and 1 starch, but there is loss of 1 ingredient in crushing them. So everytime you normally see the message Food...has spoiled! you will see a message ...preservative used! INSTEAD...if you had preservatives in the storage that was targeted. At that moment 1 preserve is deleted from the storage. So imagine you make 15+15=30 preserves, and put 15 in your storage and carry 15 in your rucksack...it could last a while as it will prevent spoilage 30 times all together. If you put them all in your rucksack, any food in the other storage would still spoil. Late game this could be an important task when you have lots of yield from crops and food stored for winters...but preserves will deplete faster the more food you have, as with spoilage, the more food you have AND the more storages you have, the more spoilage occurs. Storages: Tiny Storage, Storage, Big Storage, Crate, Barrel, All Boats, Compost Bin. This also makes it important to utilize the upgraded sizes and get rid of putting foods in multiple smaller storages asap. Having food spread out in 5 crates and 2 Tiny Storage will spoil more food than having ALL food in 1 Big Storage...etc. Note: Key thing to remember is...put all food in 1 storage when ever possible to prevent excessive spoilage, but now you can prevent spoilage entirely using preserves. So if you go on a boat trip and put extra food in the boat, add a few preserves to prevent that food from spoiling...etc. Lastly: Remember...the rucksack you are carrying is ALWAYS the first targeted storage and spoils the MOST food...so having preserves in your inventory is most effective at reducing spoilage. When you start a new Island the story begins that your ship sunk in a storm. 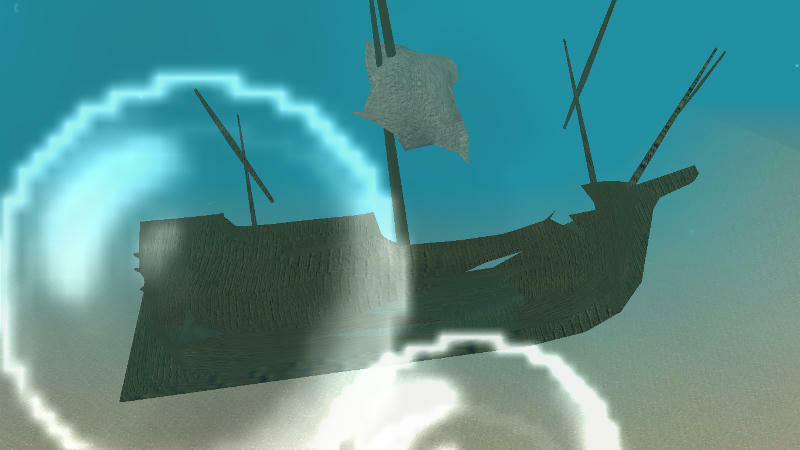 You can now find your sunken ship located somewhere around the islands waters. You have 10-12 days before it can be "lost" and turns into debris at it's current location. Once spotted you can swim to it if you choose too. If you reach it you can loot it for some useful items. 1-3 Bread, 1-2 Boiled Water, 1-2 Dry Hides, 1-2 bandages, 1-2 insect Repellent. This loot is randomly set in the ships' inventory each new island. 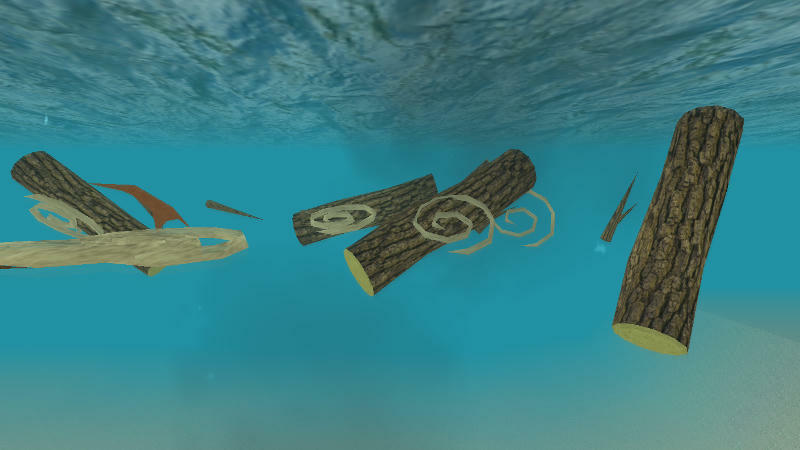 If you continue further and destroy the sunken ship, having 250 HP, you can strip it of some additional resources that will always be set at: 8 Logs, 18 Branches, 10 Cords, 2 Dry Hides. 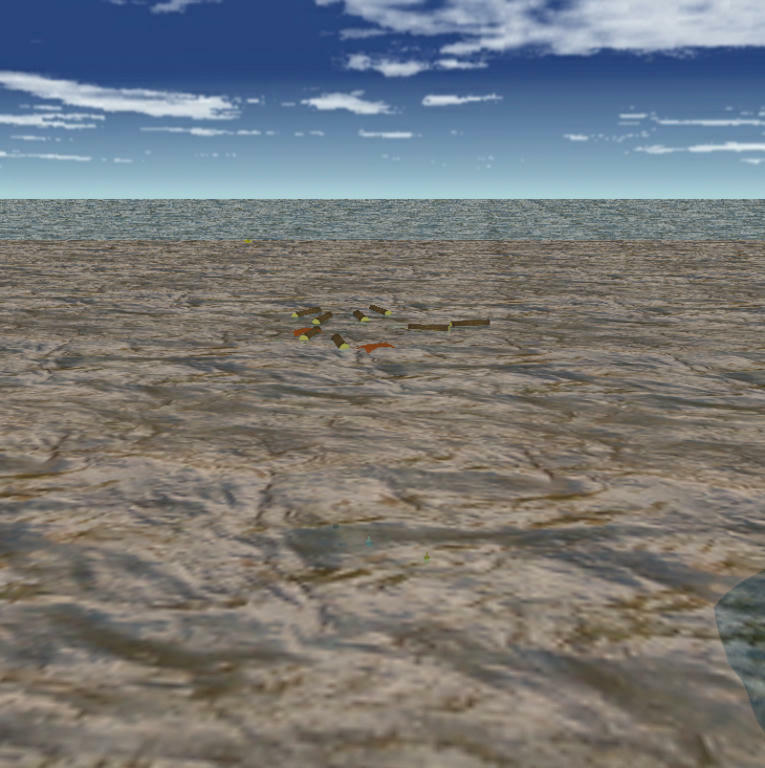 They will float to the surface automatically. If you do not find your sunken ship after 10 days, there is a 1 in 3 chance everyday there after that is will be "lost" at midnight "new day"... just like a Fish Habitat...only it will make a pile of the said debris above. If this happens only the Food Loot will despawn the next midnight, as all foods not in a storage and left on the map, despawn at midnight. This scenario gives way in relieving the tough task of acquiring dry hides to make gloves, the primitive bed, the umbrella, or even a distiller. The hides are recovered from the damaged sails. Additionally a small boost to getting injury early by way of a bandage or 2...the food and water will likely always be absorbed every time you attempt a recovery of your ships' resources, as it takes energy and depletes your bars.